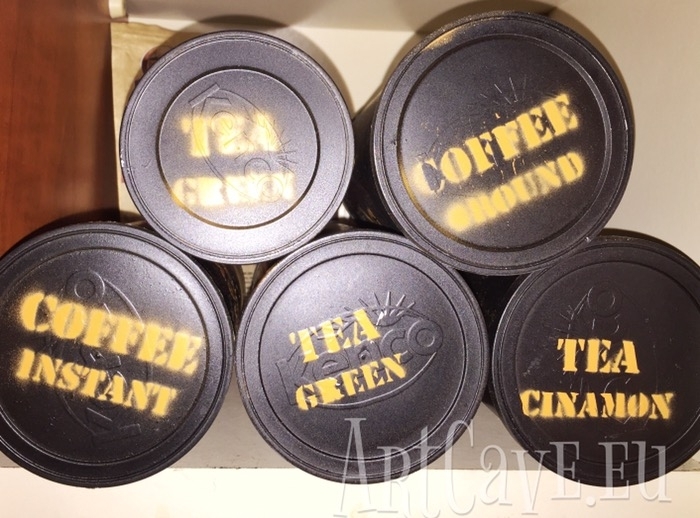 I had many empty coffee cans and quite a mess in my tea and coffee cabinet, so I decided to paint them and have them labelled. 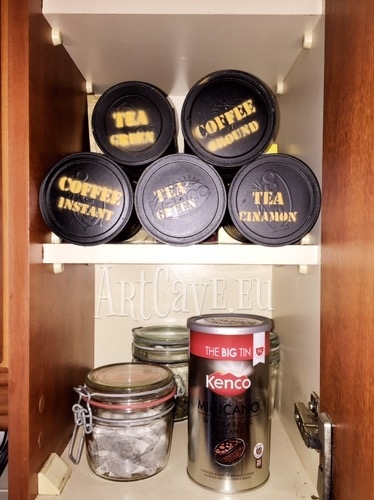 Here is how you can repurpose old coffee cans by turning them into tea and coffee containers and keep the shelves organised. 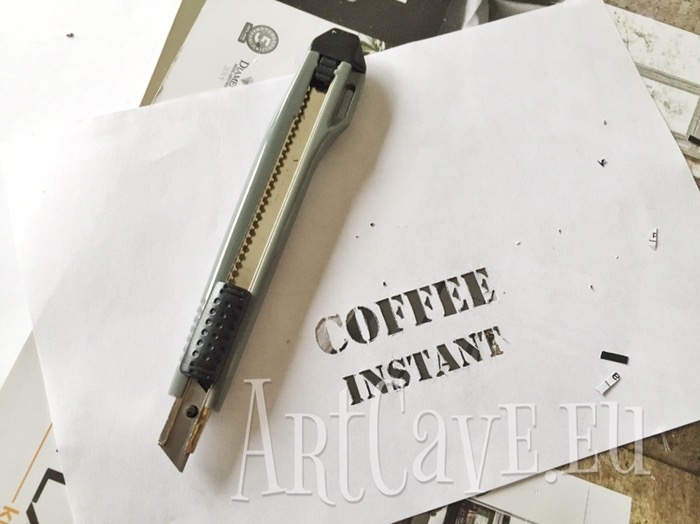 You can make your own stencils or download them. 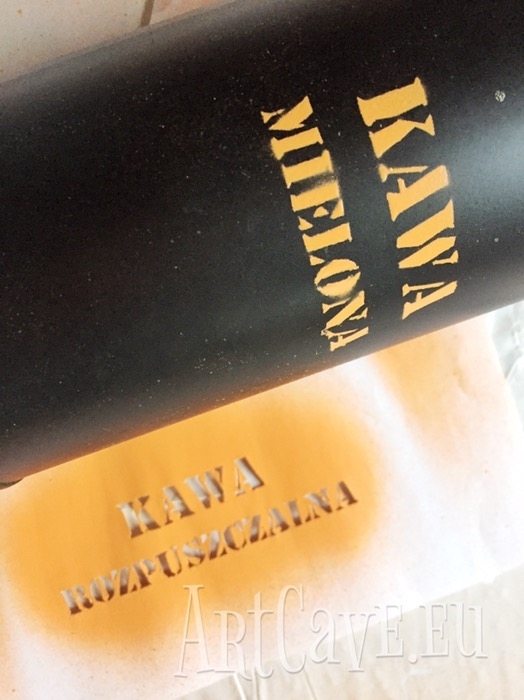 If you search online, there are plenty ready to go labels but if you have lots of different types of tea you are better off making your own stencils. After printing cut them out. 2. Clean the cans from the dust and grease. Paint them in one colour. I painted my cans in black. Then, using adhesive (a tiny amount) , fix your stencils to the cans and spray over. 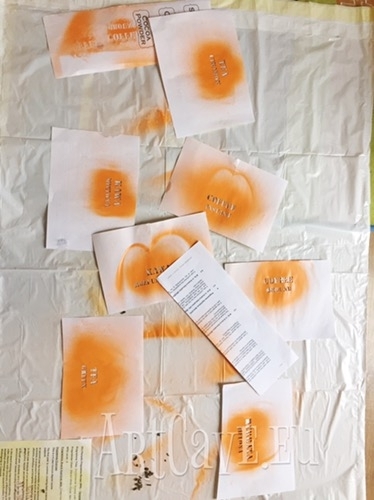 Let it dry a little bit and remove the paper to allow drying completely. If there are any aces of adhesive left, remove them gently. 4. Cutting stencils took me a while as I had to make lots of them – each tea and coffee type in two languages. 5. Nicely organised cans. They can be displayed like this. 6. I also painted the lids so I can stack them horizontally – this way I have easier access to everything on the shelf.